The short track speedskater at the Vancouver Olympics who has been garnering all “the buzz” is J.R. Celski. 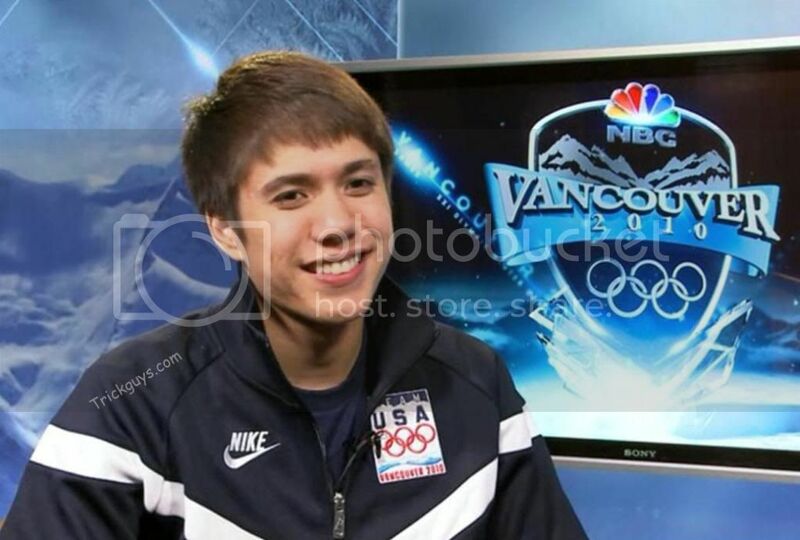 He’s been drawing attention despite the fame of his teammate Apolo Anton Ohno and the historic nature of Ohno’s tying or surpassing the record for most medals won by an American Winter Olympian. Celski is the cute little guy with the powerful legs, and the finesse to place them precisely where they need to be in the madcap and bunched up sport of short track. The thing that has given him a lot of buzz this Olympics, even though he is still behind Apolo, is that his success in Vancouver seemed so unlikely (like impossible) only five months before, after a horrific accident in which he sliced his leg to the bone with the blade of his own skate. In was at the U.S. Olympic Trials for short track speedskating in September, 2009, that Celski crashed in the semifinals of the 500m race and cut open his left leg with the sharp blade of his right skate. The cut was 6″ wide and 2″ deep. Celski had to actually pull the blade out his leg, which then started bleeding profusely on to the ice. The cut had gone through the muscle and missed his femoral artery by only about an inch. Seeing what had happened, laying on the ice, Celski first thought that his skating career was over. Fortunately, after the injury was closed with about 60 stitches, Celski started thinking about recovering and getting back on his feet as soon as possible. He went into rehabilitation under the care of Dr. Eric Heiden, the legendary skater who has five Olympic gold medals and who is now an orthopedic surgeon. In a month, Celski was able to walk without crutches. By November, he was back on the ice, but it was only two months to the Olympics and he could only skate very carefully and very slowly. Somehow, through miraculous internal drive, Celski used that two months to get back into world-class shape. Not many people could do that after such a terrible injury and in such a short period of time. Prior to speed skating, J.R. Celski was a champion inline skater. His breakthrough performance in speed skating came in 2009 when he won five medals at the World Championships in Vienna, finishing 2nd overall. 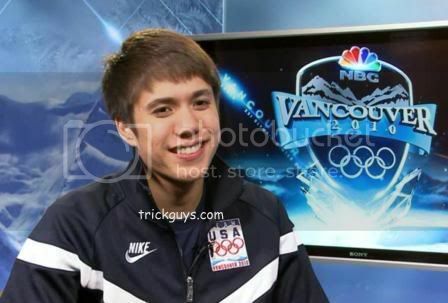 During the 2010 Winter Olympics, J.R. Celski could also been seen in national commercials for Proctor & Gamble (P&G) and McDonald’s. J.R. Celski shirtless with muscle bulge.